Toni Bergins, MEd, has been developing JourneyDance™ since 1997. She has now touched the lives of over 100,000 people through her classes and workshops. She believes that movement has a power to transform by bringing people back in touch with their innate energy and creative wisdom. 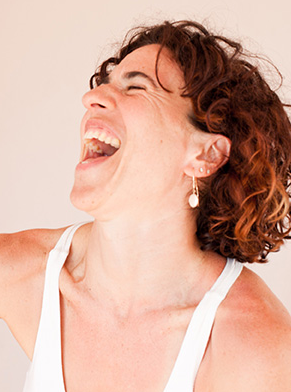 Toni has a light sense of humor, a deep wild passion and authenticity that makes JourneyDance™ accessible to all. She has produced a popular instructional JourneyDance™ CD, clothing line, and set of Love Your Body! Love Your Life! cards. She has been featured in Yoga Magazine and FitnessRx. Toni leads a growing team of over 500 JourneyDance™ Teachers internationally and continues to offer classes and workshops worldwide.